It’s finally here. After a summer of teasing, promising, knock out blows and head spinning reversals, the next generation of gaming is finally upon us. Beneath all the drama and forum bickering lies one thing… the games! That’s right, it’s always been about the games. So this week, we decided to talk about the games that have us hyped – The Top 5: most anticipated games of the next generation. 5. The Witcher 3: Wild Hunt – I have a lot of respect for CD Projekt Red and their sheer stubbornness about making their games great, even if their products don’t launch in ideal condition. But whether you think their games are released too early or if you respect their commitment to post-release patches and content, it doesn’t change the fact that they make excellent action RPGs. From what I saw of The Witcher 3: Wild Hunt at E3 2013, the next game in the series looks to be their most ambitious game by far. As much as I enjoyed The Witcher and The Witcher 2: Assassins of Kings, I did always feel a bit claustrophobic while exploring the games’ zones. With the switch to an open world, The Witcher 3: Wild Hunt could potentially be the best game in the series, especially if CD project Red manages to maintain the consistency, quality and density of content that fills the zones of their first two games while creating their new open world. 4. Infamous: Second Son – As the only PlayStation 4 exclusive on this list, I’m looking forward to Infamous: Second Son as a means of justifying my purchase of the console. I have to be honest; there isn’t much in the PlayStation 4 launch lineup that excites me, despite it being a relatively strong list of titles compared to previous system launches. It’s a shame Infamous: Second Son didn’t make the launch, but assuming the current February release date sticks, we won’t have to wait that long for this incredible looking game. 3. Final Fantasy XV – I’ve been a Final Fantasy fan since I played the original on Nintendo as a 9 year old. Throughout my entire life as a gamer, there have been few upcoming games that I have looked forward to more than Final Fantasy titles (Skyrim comes to mind). As a teenager, waiting for the release of Final Fantasy III (VI) on Super Nintendo was excruciating, and as the days until release winded down, 13 year old me got more and more antsy and lost a ton of sleep. Final Fantasy VII was even harder to wait for. I had played the demo dozens of times over before it was released. The day it came out was the first time I experienced waiting in a video game store with a ton of other gamers for a product, since the delivery truck was running late. That was an interesting preview of the midnight launches I’d be attending in the future. Having said all that, it should be very telling about the decline of Square Enix that Final Fantasy XV is not at the top of this list. To be frank, I’m very, very worried about it. It seems to be lacking the core RPG elements that make Final Fantasy what is it. Though I suppose that sounds a bit silly given the constant fluidity of the series’ game mechanics and that the game is still in development. But I can’t help but to look forward to it with a sense of caution, especially given its rocky development process as Final Fantasy Versus XIII. Then again, it’s still a freaking Final Fantasy game! I can’t help but to look forward to it. 2. Kingdom Hearts III – The only reason this gets a higher spot on the list than Final Fantasy XV is how long it’s been since Kingdom Hearts II. Whether the game will turn out to be any good or not it anyone’s guess, but in terms of sheer frenzied anticipation, Kingdom Hearts III is definitely one of the games I am most looking forward to at the moment. It’s also probably the single game on this list we’ll have to wait the longest to play. 1. Watch_Dogs – I can’t help myself, I got completely swept up in the hype for Watch_Dogs. When Alex and I first saw Watch_Dogs during E3 2012, we couldn’t help but theorize that it must be a next gen game, even though at the time, such an announcement was not made. The game looks incredible and features some gameplay mechanics that are unique and interesting. To put it simply, Watch_Dogs is the very definition of “next gen.” I can’t wait to play it. It’s just really unfortunate it got delayed until 2014. 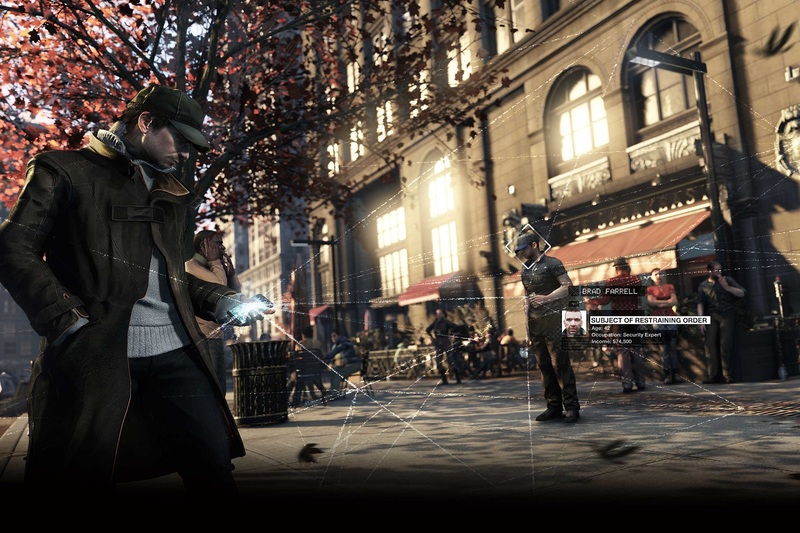 Without Watch_Dogs, the launch lineups for the Xbox One and PlayStation 4 are much less enticing. But I’d rather the game be the best it can be, so hopefully these extra months in development will be well spent. Much like a lot of folks, Ari was looking forward to Watch Dogs to deliver day one, next-gen bliss. So much for that…. 5. Dying Light – When it comes to next gen zombie games, Dying Light takes the game to the next level with a day night cycle and parkour running zombies. The game doesn’t just look good but the idea sounds better than Dead Rising 3. I want more out of the zombie apocalypse game and Dying Light is that game. 4. 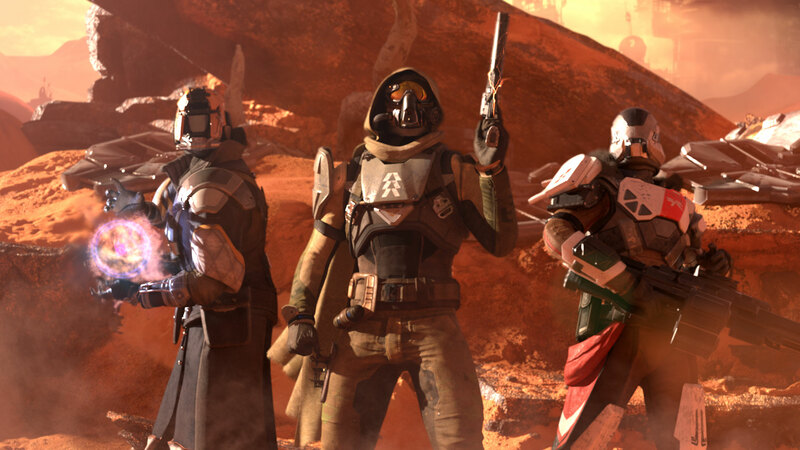 Destiny – Bungie’s next gen game looks to take the MMO genre in a different direction with Destiny. With everything Bungie showed before E3, nothing had as big an impact on me then their E3 showing. I’m not sure what class I want to play with in Destiny but it has to be something that does a lot of damage and looks cool. 3. 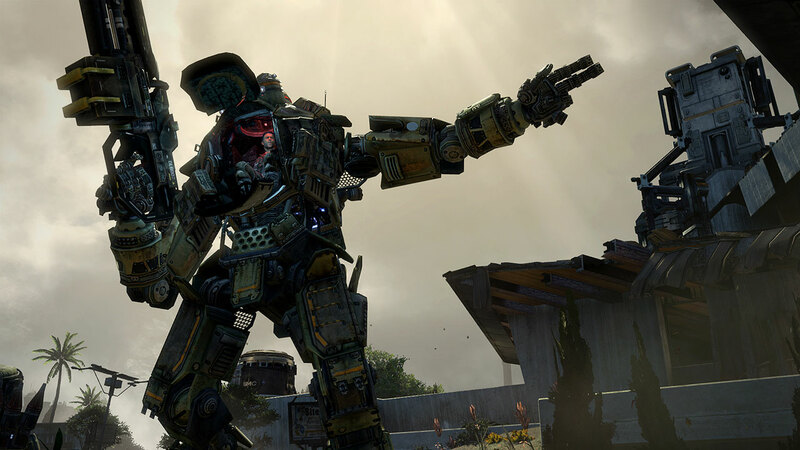 Titanfall – It’s a good thing this game is coming out on the PC as well or else I would be screwed. Titanfall looks so cool, I want to play it now. I’m not concerned that that game doesn’t have a single player mode. The multiplayer covers that with an in game story. Plus, both factions have NPC’s fighting with them. I just want to get into the game and start blasting everything with the mech. 2. Killzone: Shadow Fall – It’s a good thing Killzone: Shadow Fall is a launch title because I would have nothing to play when the PS4 launches. I’ve played all the Killzone games and really like the story regardless if it fell short of being the Halo killer. That doesn’t matter to me. All I care about is that this new game picks up several years after the events of Killzone 3 which is what I want. I want to see what happened to the Helgan after their doomsday weapon was used against them. 1. 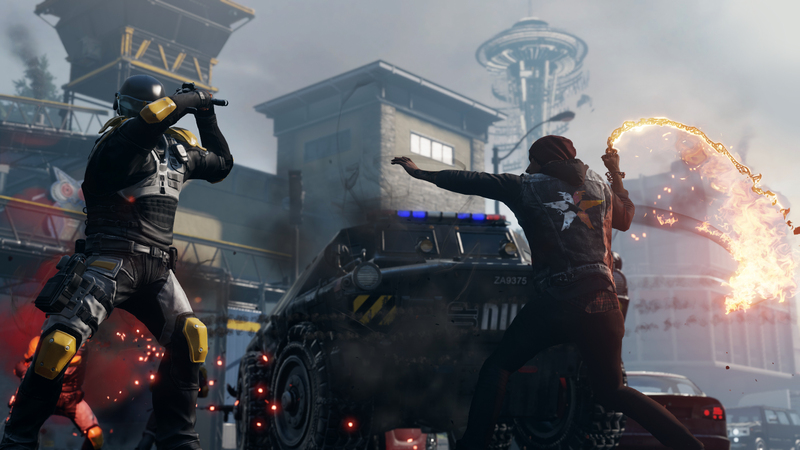 Infamous: Second Son – With the PS4 launching really soon, Sucker Punch is hard at work on Infamous: Second Son and the game looks amazing. I always thought that Cole’s electrical powers were great until I saw what Delsin Rowe could do. Apparently Delsin has the ability to absorb other conduit powers. I’m looking forward to seeing all the different conduit powers Delsin can absorb and what he can do with them. For Chris, Sucker Punch’s next gen iteration on inFAMOUS grabbed the top of his “can’t wait” list. He’s not wrong, the game looks amazing. 5. Destiny – While I was a tad underwhelmed by Bungie’s E3 presentation, the scope and ambition at work here seems like it could be great. So I will file Destiny under “cautiously optimistic.” Never a huge fan of the Halo series, it looks like Destiny aims to make my concerns a thing of Bungie’s past. 4. Uncharted – Since I didn’t state any rules that the game had to be announced, I’m putting the next Uncharted game on my list (Oh yeah? Then I’m adding Elder Scrolls VI! -Ari). This could come back to bite me if Naughty Dog either hands the reigns off to another studio or just completely abandons the IP, but something tells me we will be hearing about the next Nathan Drake adventure very soon. I will say right now, that once it is announced, you can move all the games down one and this to number one because I am forever and always an unabashed Uncharted fanboy. 3. Tom Clancy’s The Division – With its gorgeous, realistic looking visuals, cooperative gameplay, and RPG elements, Massive’s The Division brings the Tom Clancy game universe into a whole new realm. I couldn’t sell the rest of the guys on this game at E3, but in my eyes, this looks like true next-gen gaming at its conceptual best. Mark my words, folks. This game is going to be huge. 2. InFAMOUS: Second Son – At E3 this was my game of show because of how beautiful it looked, and great it seemed to play and just all around improved over the formula that has come before in the series. The only reason why it isn’t number one on my list is because that’s pretty much all I’ve seen. Once we get more details regarding the game this might inch its way back up to my number one spot, but this is not the case today, so Second Son has to settle for a number 2 spot on my list. 1. Titanfall – I’m literally getting an Xbox One so I can play this game. I saw it live at E3 and was floored and every single thing I’ve seen on Respawn’s debut just looks and sounds better and better. This is coming at just the right time as Call of Duty hit its first real road bump both commercially and critically with the release of Call of Duty: Ghosts (look for my review next week as I have been holding out for the PS4 version). It looks like it scratches the itch I have for fast paced shooter gameplay with the same buttery smooth controls that Call of Duty made famous and the addition of Titans and jet packs. It even adds parkour like wall-running into the mix, which means it will be something fresh for long time fans of Call of Duty. March 11th can’t come soon enough. 5. Octodad: Dadliest Catch– Yo, it’s an octopus pretending to be a human, doing normal everyday things, but the controls are so purposefully awkward, you can’t help but laugh. I hope this comes out with a demo, because you’ll want to buy it after you try it. Yo, look at that octopus. He’s trying to buy milk at the supermarket. That’s silly. 4. Tekken X Street Fighter – Long in development, this game from Namco is eventually going to come out. It may be the first “real” next-gen fighting game (sorry Divekick, you already came out), but what I want to know is how the Street Fighter characters are going to adapt to the Tekken style of play. 3. Battlefield 4 – I know it’s “out” already, I don’t care. I want to play this on a console instead of a PC to avoid the awful UI and lack of voice chat, and I want to play it with 64 players and awesome dynamic action. I want to take my time maneuvering through an urban battlefield, checking my corners until it is time to strike. I want to use sneaky gadgets to track enemies without them knowing it, and then put bullets through their heads. And I want to do it on a PS4. 2. Bayonetta 2 – Bayonetta was so fun. Ignore the senseless story; it was a non-stop cavalcade of asskickery. Bayonetta 2 has already shown me bigger boss battles, new mechanics which force me to make more decisions instead of dialing in more combos, and a sweet new hairstyle for its protagonist. 1. Destiny – I’ve been a Bungie fan since 1993, longer than many of you have been alive. They have a unique talent for fostering quality and then making games that change the paradigm of what we play. I initially dismissed Destiny as a Borderlands clone. The more I see of Destiny, the more I feel like it can stand on its own. That makes me very impatient to play it. Bungie’s Destiny has Ted chomping at the bit for its Spring 2014 release. What are your most anticipated games of the coming generation? Of course, if you read this on or after November 15th, it will be the current generation, but either way, let us know your most anticipated next gen games in the comments below! I would have to say I’m also looking forward to Infamous Second Son, The Witcher 3, and MGSV as well. I’m sure I’m forgetting something, but those games are day one buys for me. Don’t mind Sean. He’s just… Sean. He and Nintendo aren’t really compatible. Good call on SMT x FE.